November 17, 2014 By Tina M 1 Comment This post may contain affiliate links. Read my disclosure policy here. Looking for the perfect gift for a mother, friend, wife or sibling? Here are this year’s picks! While you’re here, enter our giveaway! ONE WINNER will receive the first 9 items on our list! 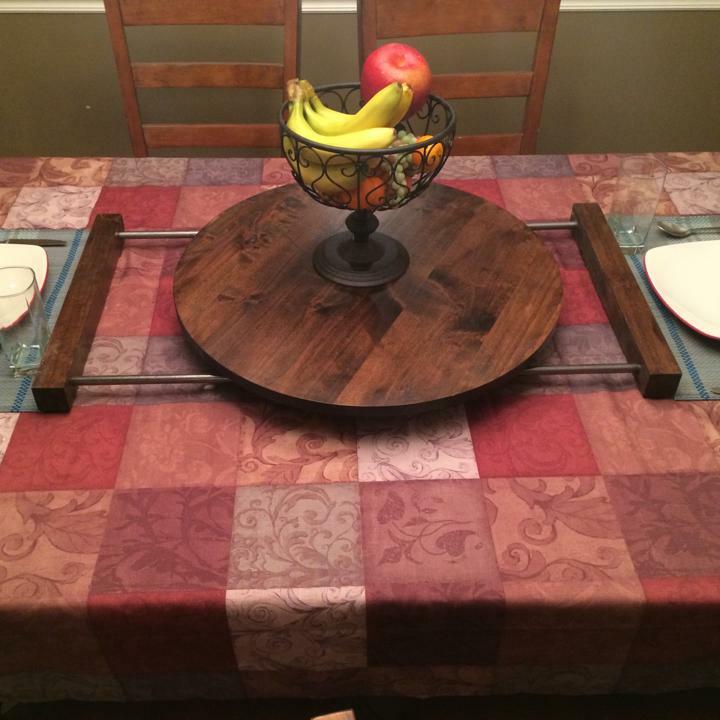 Add style to your kitchen with this hand-crafted Table Trax Premium Sliding Lazy Susan. Meals around the table become fun and exciting by being able to easily glide this beautiful Lazy Susan from one end of the table to the other. Not only does it slide back and forth, but it also spins smoothly in place. The table top comes in a variety of stains, to match virtually any table or furniture you may have. Even if you don’t see a style that’s matches your table, TableTrax is more than happy to customize one. 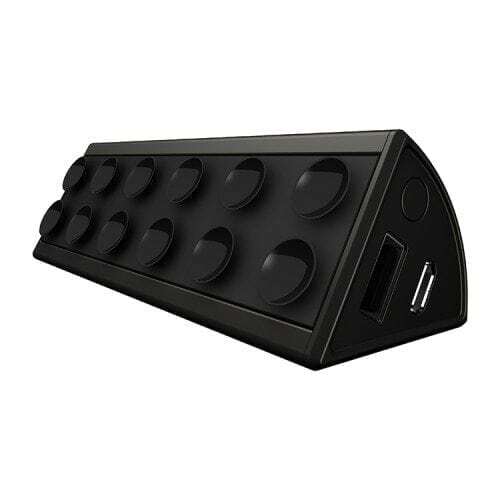 PowerSkin PowerStand’s unique wedge shape is an all-inclusive, hands free, viewing stand and portable charger. Small and light weight, the charger suctions right onto the back of most phones and cases, making video and photo viewing easier without draining power. Need to share a presentation, pictures, watch a video, or even use your camera to apply makeup? PowerStand makes hands free screen viewing easy with the suctioned kick stand and portable charger. No longer worry about Youtube or Netflix videos draining your battery. PowerStand charges your phone lets you easily view the screen without having to hold it. The BottleBand stretches to fit any sized bottle – from a Nalgene to a 16 oz generic bottle. Its one-size-fits all construction can also be tightened by pulling the circular bands apart to fit any hand size. The BottleBand is also extremely mobile. After you’ve finished your water, you can throw your disposable bottle away, put the band on your wrist, and run unencumbered. But the best part about the BottleBand is that it works better and costs less than a $20-30 handheld that can only fit one bottle. This is BY FAR my favorite kitchen appliance. It does everything! We have had ours for almost 5 years now and it’s still working just as well as when I bought it. You can make soups, ice creams, batters, smoothies, and you can even grind your own wheat. This thing seriously does it all. I have never met anyone who regrets owning a Blendtec. Another favorite kitchen item in our home! My husband and I both love making crepes, especially when we have family gatherings, and we LOVE having a crepe maker because it makes the process so easy and quick. You just dip it into the batter and the crepe pretty much makes itself.